After arriving back at Lisbon Airport, I met the lovely driver who would be transferring me to Alcainca, Henrique. 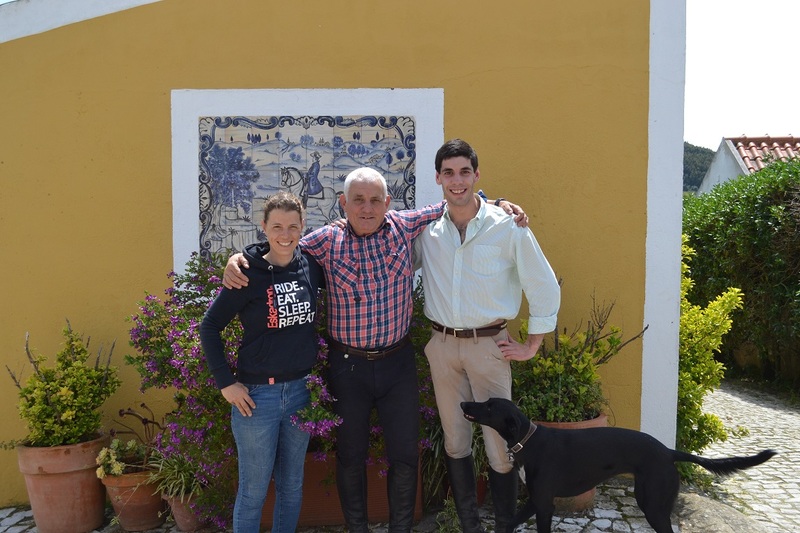 On the short drive to the equestrian centre from the airport Henrique tells me all about the local area and places I may like to explore when I return to Portugal. 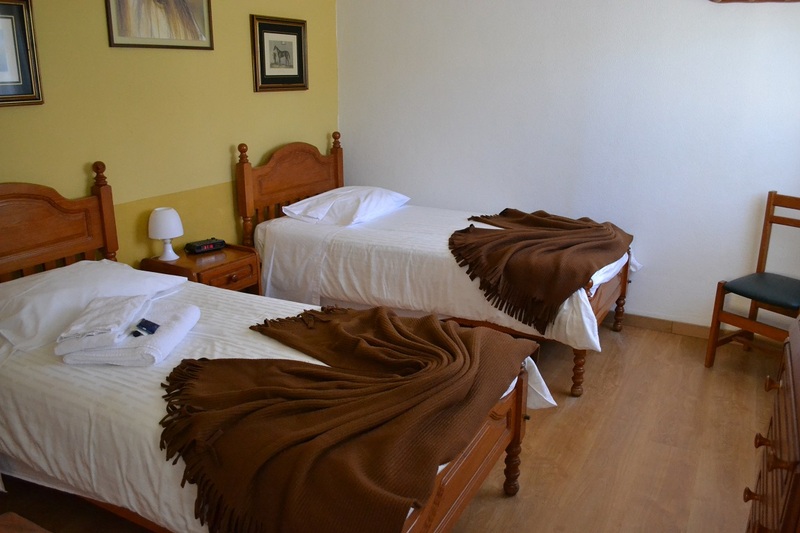 Upon my arrival I book in the time for my departure transfer and Henrique shows me to my room. After a quick introduction to Georges, the head instructor, and Paulo I am shown around the property. There are no scheduled lessons today and tomorrow as there are no other guests, just myself and a gentleman who keeps his own horse here. When asked if I would like to ride, I am quick to don my jodhpurs, grab my hat and head back to the stables. Time to give classical dressage a go! 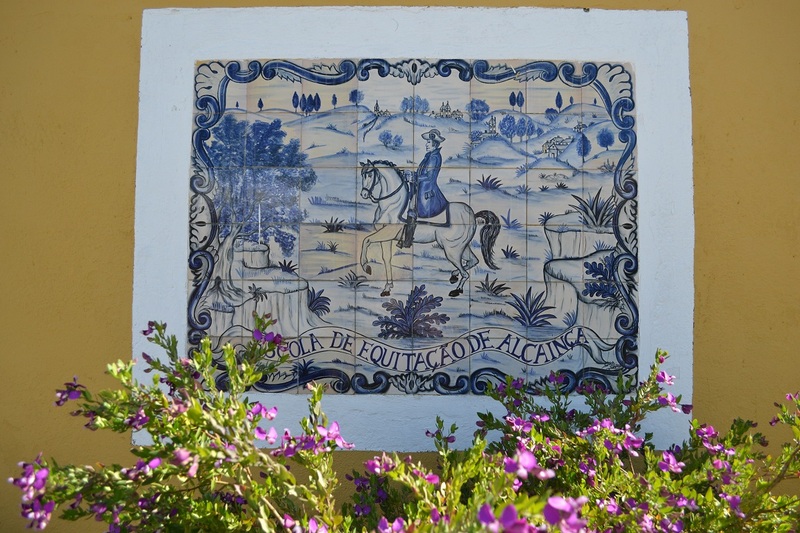 My lesson is with Renato, a quietly spoken Portuguese man who started working at Alcainca in 2017. When I arrive, Renato leads a handsome bay gelding over to me and tells me that he is called Batedor. Once on board I begin to warm up and Renato begins to put me through my paces to see what I have learnt from my time in Portugal so far. We start in the walk and work on bend, flexion, shoulder in, leg yield before moving up to begin work in the trot. Working back through the exercises I begin to feel like I am beginning to understand what Renato is asking of me. After some canter work Renato asks me to halt and tells me that it’s now time to try passage and piaffe. I don’t think that trying these movements will ever not bring a smile to my face. Batedor is so willing and before long I am starting to get to grips with the aids required. Photo courtesy of Alcainca. Batedor being worked in the old Bullring. The horses at Alcainca are incredibly fit and after an hour and a half of working with me Batedor feels like he could go again. I am less so and with slightly wobbly legs I head back to my room to shower and get ready for dinner. There is nothing like a hot shower to ease those aching muscles. Dinner was a delicious soup followed by locally caught grilled fish, potatoes and carrots with ice cream as a dessert. After a long day of travelling and an intense lesson this afternoon it wasn’t long before I was heading to bed, ready to get back on board tomorrow. I woke up feeling fresh and ready for today’s challenges. After a quick breakfast of cereal, yoghurt and fruit, bread and cheese I finished getting ready for my morning lesson and got to the stables early. 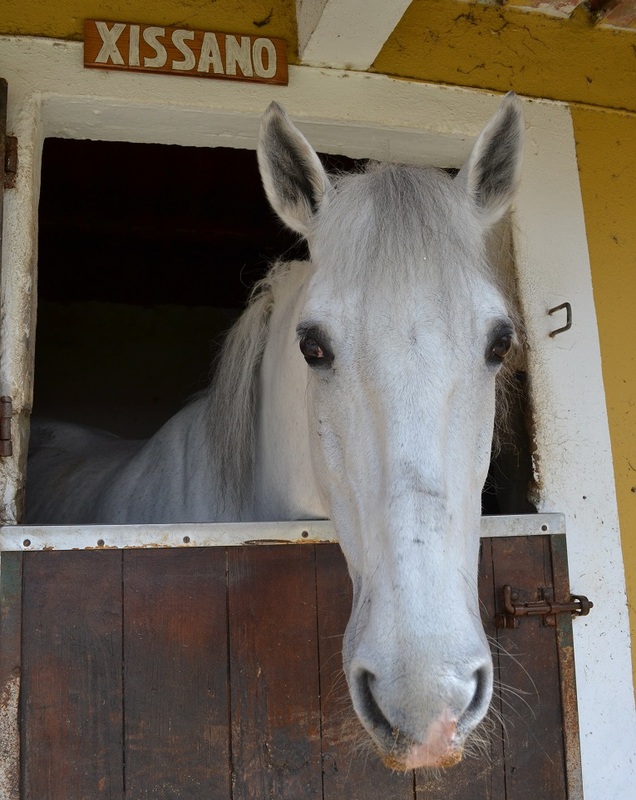 Here I am introduced to a grey gelding called Xissano who I had seen in his stable yesterday. He’s beautiful and I’m delighted to hear that he is my new mount for this morning’s lesson. Working further on yesterday’s exercises, I can see where I am going wrong and I’m beginning to correct myself before Renato got the opportunity and today I even got to try passage and piaffe on my own. With the comment of “for a show jumper you’re actually pretty good”, the final lesson of my trip is over. This afternoon I watched the artful riding of instructors Georges, Paulo and Renato as they worked their horses for the day. With a variety of ridden and ground work, dependent on their age and progression, each horse is worked in a sympathetic manner. 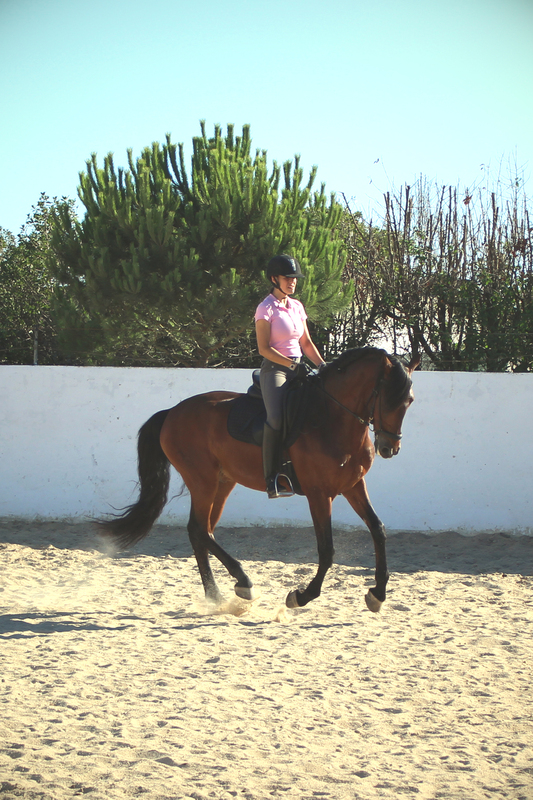 Georges, originally from France, moved to Portugal in order to study the art of classical dressage. You can immediately tell from his way with the horses that he has such a passion for his craft. It is soon time for dinner and I find myself somewhat sombre knowing that this is my last night in this wonderful country. Dinner tonight is a squash soup followed by rice, fish and roast vegetables and my favourite dessert of crème brulee. Too soon it is time to go and pack up my belongings.